Keep your things stored away in the Dolce & Gabbana™ Sacred Heart Pouch. Zipper pouch made of 100% nylon. Crowned heart graphic with art and graffiti throughout. 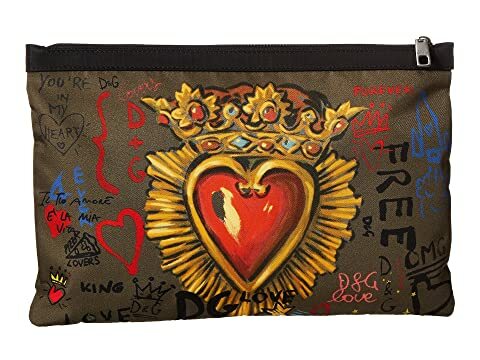 We can't currently find any similar items for the Sacred Heart Pouch by Dolce & Gabbana. Sorry!